The Alamitos Creek barrier project was conceived in 2008 to protect one of the few remaining genetically pure RGCT populations in the state. Invasion of Alamitos Creek by non-native species had been serendipitously and unreliably prevented by an aging irrigation diversion structure which was in need of replacement. The Truchas Chapter developed a leadership role in constructing a fish migration barrier to protect this population. Funding was obtained from chapter fundraising and other partners, including a generous donation from the Guadalupe River Chapter of TU, New Mexico Trout, and a Western Native Trout Initiative grant. 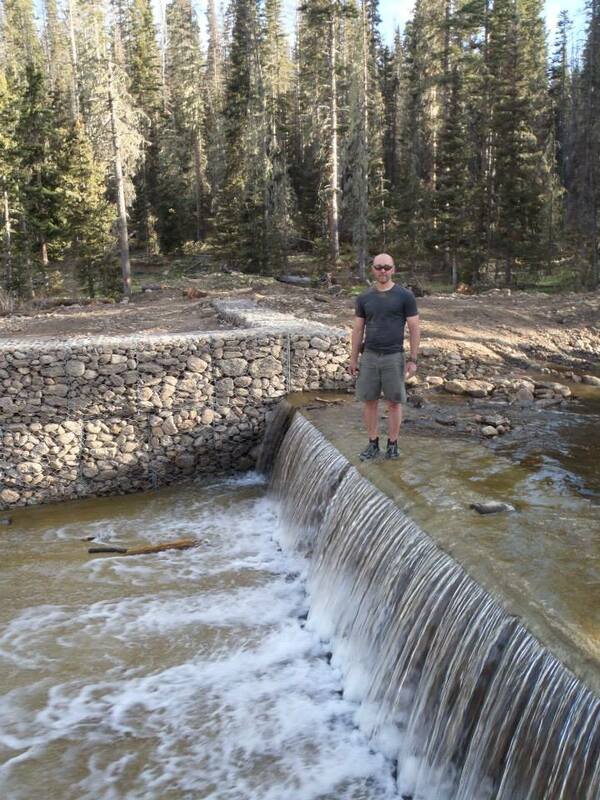 A barrier which would also replace the existing irrigation diversion structure was nearing completion when a flood estimated as a 300-year event struck, washing out the approach to the structure and changing the surrounding creek flow and flood plain hydrology for the foreseeable future, leaving the structure isolated. After thorough evaluation by TU-supplied engineers and the CNF, a new upstream site was selected, and a completely new barrier was completed in December 2012 with the aid of additional funding by the Chapter and TU National sources. NMGF believes this RGCT population is isolated from non-native trout species and there should be no need to resort to piscicide treatments to ensure its genetic purity. Now that this population of native trout has been protected, it will remain as an important source for stocking elsewhere as well as an interesting and unique fishery in its own right.